The National Kitchen & Bath Association (NKBA) is the premiere association for kitchen and bath professionals. The Association began in 1963 and now has a membership of over 60,000 members. 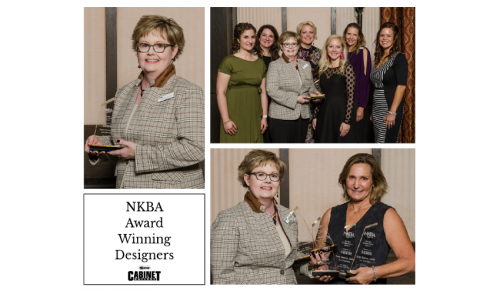 One year following the creation of the NKBA, the NKBA Kitchen Show was held in Philadelphia and the first NKBA design contest was also introduced. The show, initially a very small gathering, has since grown to the largest professional kitchen and bath industry show in the world. From its beginnings in small convention centers, only four venues in the United States can house the show due to its impressive size today. Congratulations to the Arrow Cabinet Gallery Designers!